This article describes how to build an environmentally-friendly organic victory garden. Why go to the trouble? It will save money! The organic produce at grocery store is incredibly expensive now and its going higher all the time. 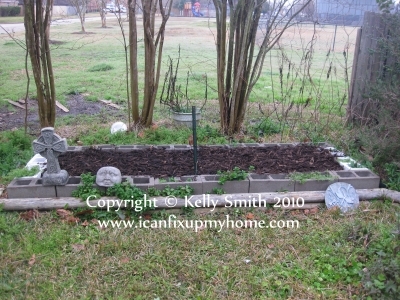 Also, raised bed gardens are ideal in small areas and theyre simple to maintain. Organic veggies are becoming more popular in mainstream society. Like global warming or climate change being undecided, there are proponents and naysayers as to whether the nutritional value is any higher. One thing is certain though; chemical pesticides certainly wont do your health any good. This represents a great opportunity to embrace organic farming principles, one household at a time. Even the first lady, Michelle Obama, is getting with it as she and her royal minions sharecrop White House kitchen garden on the South Lawn of the White House. Why Choose Raised Bed Gardening? In the first place, it doesnt eat up too much valuable real estate. Raised beds are engineered to be narrow enough so they can be worked from the 2 long sides. Also, they should be configured dictated by the available space. Another benefit is that upkeep is held to a minimum. Because by definition the gardening area is effectively separated from the yard, weed intrusion is much less of a problem. Last but not least, because the garden bed is raised to an arbitrary height, it is much easier for gardeners with physical handicaps to work. The physical height is left completely up to the urban or suburban farmer. The only real question is if you want to tackle construction yourself. 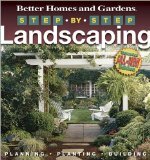 If you decide to hire someone, its important to know how to find the right landscaper . The bed structure must be constructed so as to hold the dirt and soil amendments in. The variety of suitable building materials that may be used is wide indeed. For example, cedar boards are an excellent choice because they hold up so well to moisture and the elements. This aromatic wood is also reputed to be an insect repellant. Concrete (cinder blocks) are popular and easy to work with as you can see in the photo at the top of this article. Theyre only about a dollar each at Home Depot, theyre durable, and weigh enough so that they really dont need to be staked down unless you go over 1 course. This makes for an easy vegetable garden to build. Are there any cons? Sure, the concrete will elevate the Ph content of the soil and soil amendments over time and will need soil monitoring and adjustment every now and then. Pine lumber is also popular. Its quite cheap (should I say affordable?) and non-toxic as well, but it will need to be replaced every two to three growing seasons. This is best done by just re-planking the old planks and letting them biodegrade and contribute to the compost. A Google query will find many websites that suggest using landscape timbers to create the container. The chemicals infused into this type of lumber were highly toxic not long ago. Supposedly, the current chemicals are non-toxic. But in my opinion, why risk it when there are so many other safer gardening materials available? Old car tires? Not a good idea, in my opinion. A quick Google search will find many of these advocates, but its best to err on the side of caution. Steer clear of them for exactly the same reasons as pressure-treated timbers. Designing your raised bed fundamentally depends on how much real estate you have at your disposal. It needs to be established in an area where the vegetable plants receive sufficient light for the plants being grown. One popular option is to build a straight run, long and narrow. Because the garden will be worked from both long sides, any width from 20 inches to 3 feet wide will be fine. Another popular choice is a single or multiple square-shaped beds. This is a good choice in a wide open area that gets plenty of sunlight. This configuration allows the gardener to amble between the individual beds while working them, whether weeding or harvesting. This part isnt rocket science. If youre building wooden boxes, just assemble them in place and then use stakes on the sides. This will strengthen them against the pressure exerted by the dirt. If youre putting a garden together using concrete cinder blocks, just place them in position. You might need to seat them in some play sand depending on your conditions. In locales with gopher or groundhog issues, its wise to add some wire mesh at the ground level to deter these pests. The next step is to line the bottom with from 2 to 10 layers of newspaper (more is better). Why? This discourages weeds from germinating from below. Now fill the raised bed container to within 2 inches of the top with the garden soil and amendments appropriate to your area. This depends upon location, crop type, weather, and many other factors. And lastly, put a high-quality, organic mulch on top. This will keep the moisture in the soil where it belongs. Raised beds tend to dry out faster than in-ground gardens. Have you devised a ingenious style or building material for your raised bed garden or do you have additional tips? Feel free to share with our readers in the comment section below.